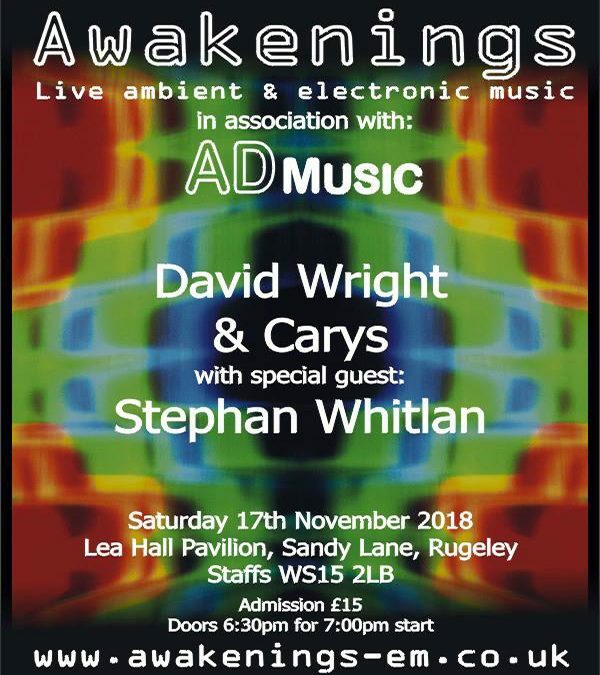 David Wright & Carys will perform their only UK concert at the Awakenings in Rugeley on Saturday 17th November 2018. The concert will be a mixture of David Wright solo, plus collaborative music with Carys and a set of improvised music with Stephan Whitlan. As well as music from David’s new album ‘Stranger Days’ and David & Carys’s ‘Prophecy’, there will be new music arranged especially for the event. Doors open at 6:30pm for a 7:00 start and a 10:00-10:30 finish.